There's nothing quite like a town hidden away above the clouds, only to appear when the mist rolls away. Sapa is almost as if you've stepped out of Howl's Moving Castle and into an enchanting little alpine town high up in the mountains above the clouds. It's where the mist touches the sky and a blanket of white covers up above. When the sky clears out, you're surrounded by luscious hills filled with sloping terraces cultivating rice and corn and you're greeted by the locals, ethnic minorities, fellow visitors, trekkers and backpackers from all countries. This wide range of people all gather in a tiny town is just a lovely feeling. 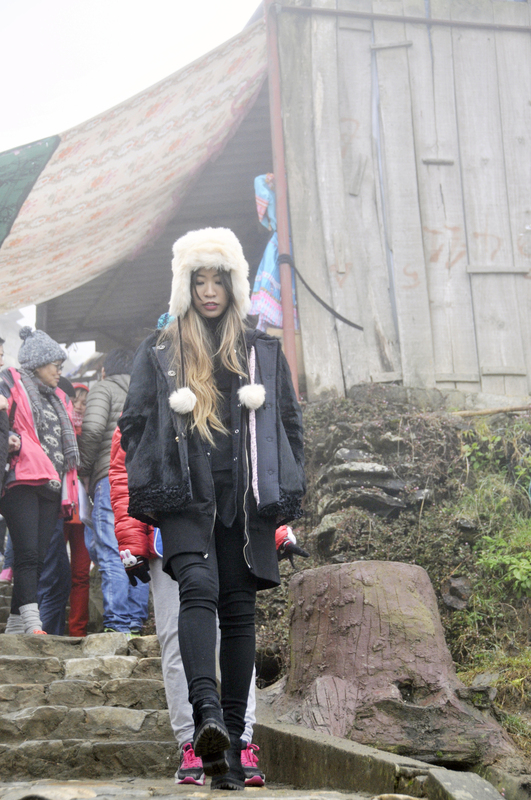 I visited Sapa towards the end of December when the weather was at its coldest. Just a few days before I arrived, there had been a light sheet of snow. Upon our arrival, it easily became obvious that this short trip would include lots of layering and searching for warmth. Granted, I was at one of the northern most parts of Vietnam during the coldest of seasons but my heart was happy. 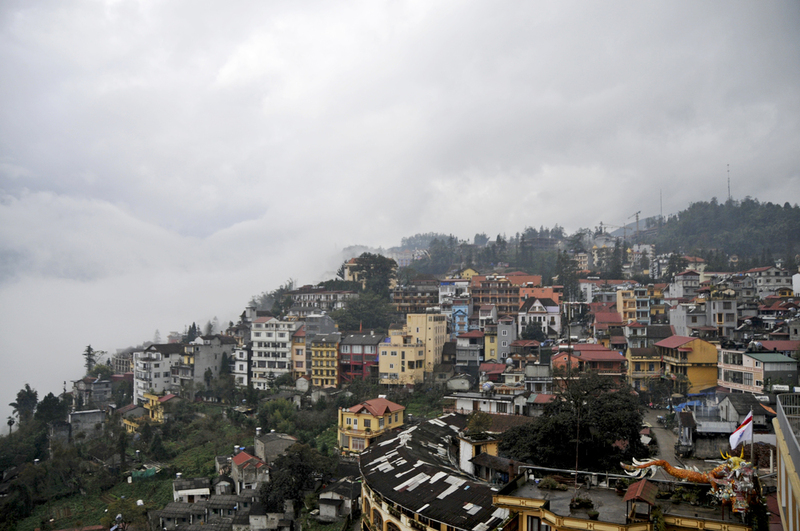 Sapa is known for its exquisite scenery. Despite being blinded by the fog most of the time, the times that the sky did clear up were absolutely breathtaking. The colorful French colonial-esque buildings against the natural beauty of the mountains...a change in scenery from the typical bustling of the city or the peacefulness of the countryside.... it's simply a sight you must see for yourself to understand. Besides wandering around the city, Sapa is best known for the hill-tribe villages that surround it, particularly Cat Cat Village. Trekking through, you'll find the Black Hmong women selling handmade crafts and fabrics; pigs, chickens, pups, etc. roaming around and blending in with the people.